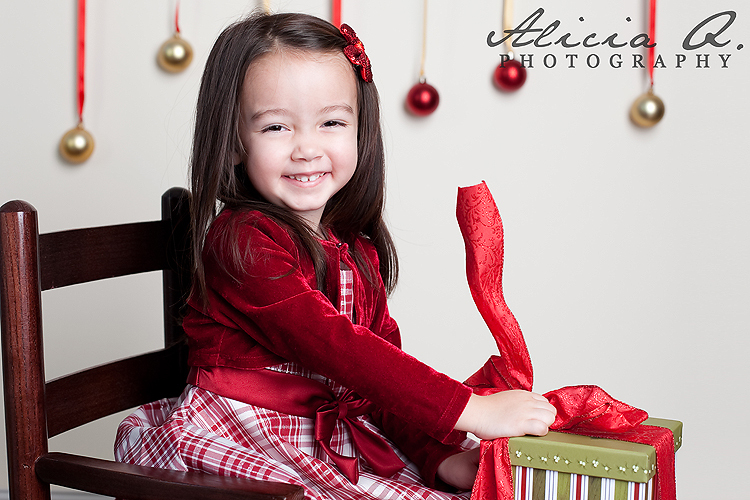 Here's a little sneak peek of a precious little girl who just cannot wait for Christmas. 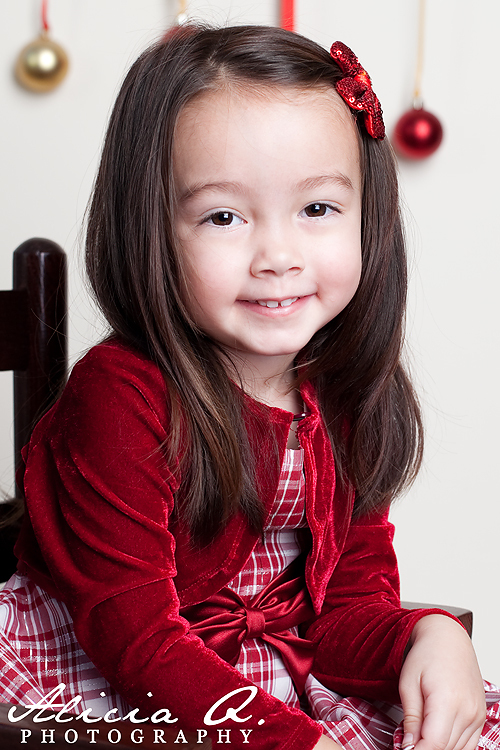 She was deathly afraid of having her photo taken at the beginning of the session, but when she realized there were "presents" to open, she was more than willing to smile and ham it up for the camera. 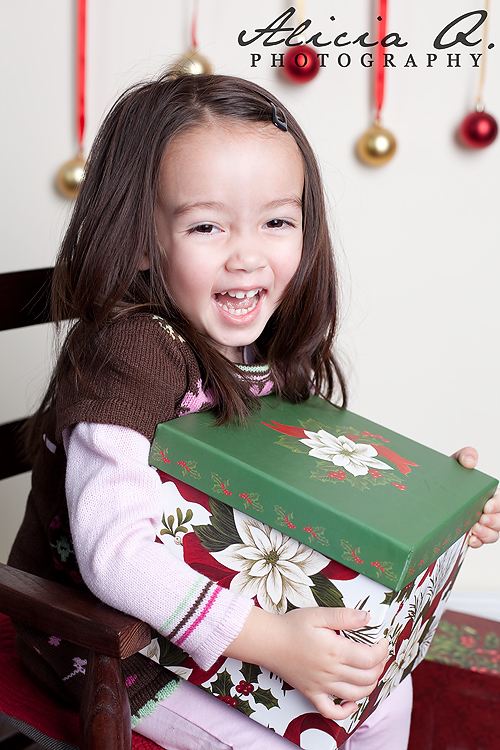 Mom and I had to sneak some leftover Halloween candy into the empty boxes as the bows and lids went flying! Our stealthy tactics were a success! Enjoy this preview! See, I told you she's ready for Santa! By the way, only 45 days to go!